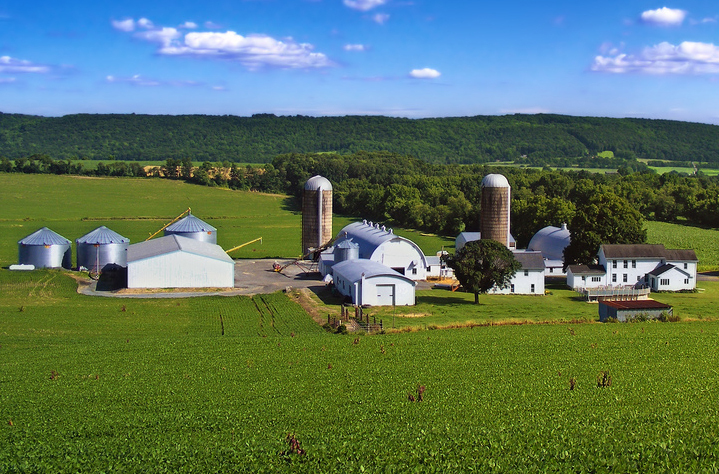 Between 2000 and 2007, an average of nearly 13,000 acres of New Jersey farmland has been preserved annually, primarily through the purchase of development easements. The Garden State Preservation Trust, the principal source of funding for these easement purchases, is nearly depleted and must be reauthorized if the state is to continue its farmland preservation efforts. The State Agriculture Development Committee (SADC) has overhauled its Planning Incentive Grant program, seeking to leverage funds in an effort to preserve a critical mass of farmland that will promote the long-term viability of agriculture as an industry. Under this program, 15 counties and 37 municipalities have received conditional approval from the SADC to pursue Comprehensive Farmland Preservation Plans. The county plans alone aim to preserve 140,000 acres over a 10-year period. Farmland preservation in New Jersey depends not only on significant funding, but also on the continued existence of the farms targeted for preservation. The conversion of farmland to development claimed an average of more than 5,000 acres per year between 1995 and 2002, according to a recent study from Rowan and Rutgers universities. Development undermines farming by fragmenting agricultural regions and interspersing farms with neighbors who complain about the tractors, noise and odors of farming operations. In an effort to keep farms viable and discourage development, the SADC revised its programs to incorporate a more strategic approach to preserving agriculture that integrates land-use planning, agricultural economic development and natural resource conservation, all supported with the latest GIS tools. As part of this overhaul, the SADC imposed new requirements for municipalities and counties seeking funding from its Planning Incentive Grant program. The 15 county plans that have received conditional approval are focused primarily on retaining contiguous farmland regions, while the 37 municipal plans translate those goals into local land-use policies and zoning. Local planners were required to hold public discussion of innovative techniques that preserve land without public funds. These techniques include lot size averaging, clustering and density transfer — including Transfer of Development Rights and non-contiguous clustering. These techniques preserve land either by concentrating development on a small portion of a site, or by transferring it to another location that will be developed more intensely. Through state and local taxes, New Jersey residents have funded substantial investments in farmland and open-space preservation. The SADC has taken an important step to leverage this investment through reforms to its grant program that require more supportive local actions in exchange for state funding. These reforms could be even more effective if, for example, master plan and ordinance changes were required before funds were granted. An interim step would be to reward model communities with bonus funding. These reforms could be extended to the Green Acres program, as well. Then, New Jersey residents could feel better assured that they are getting their full “bang for their buck” in keeping the garden in the Garden State. If you have any questions about this issue of Future Facts, please contact Chris Sturm, Senior Director of State Policy.